Spring is the best time of the year to start planning roofing projects for your Connecticut home whether you decide to install a new roof, or repair or re roof your current roof. When winter is over you will have easier access to your roof to visually inspect any roof damage caused by winter weather and be able to assess the extensiveness of your construction needs. For reliable and quality roofing services from professional roofing contractors you can trust, contact New Roof Connecticut or request a Free Roofing Quote. You can start inspecting your roof by looking at the roof line and if it is perfectly horizontal then the structure is most likely in good condition. If you notice sagging and it is not horizontal then you may have structural damage most likely caused by roof leaks that weren't repaired. Call New Roof Connecticut immediately before your serious roofing problem gets much worse. You can also inspect the roof for missing or damaged shingles, warped or gapping wood shakes, or cracked tiles. Roof damage is not always obvious from the outside and a comprehensive inspection by a roof professional is recommended. 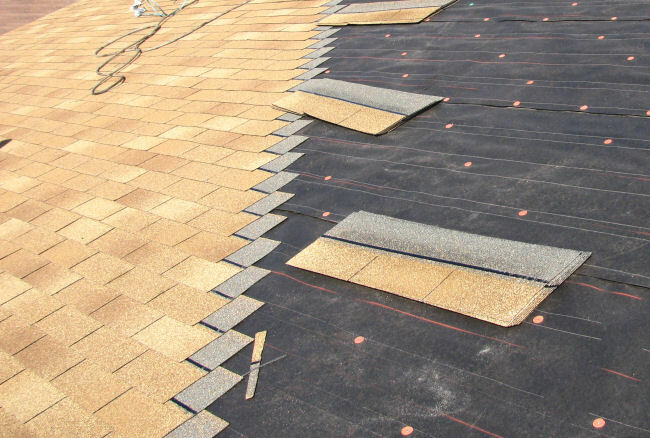 With asphalt roofs, thin and weather-worn shingles may indicate that the shingles are brittle and have lost their protective inner oils and re-roofing may be necessary. With traditional wooden shakes and shingles, look for dry wood shingles and cracked and warped shingles. If you notice these degraded conditions with your wood roof shingles then re-roofing may be required otherwise your roof structure is exposed to nature’s elements which will eventually lead to roof structure damage, being much more expensive to repair. Call New Roof Connecticut or request a Free Re-Roofing Quote for more help inspecting your roof or if you need re-roofing or roofing repairs. 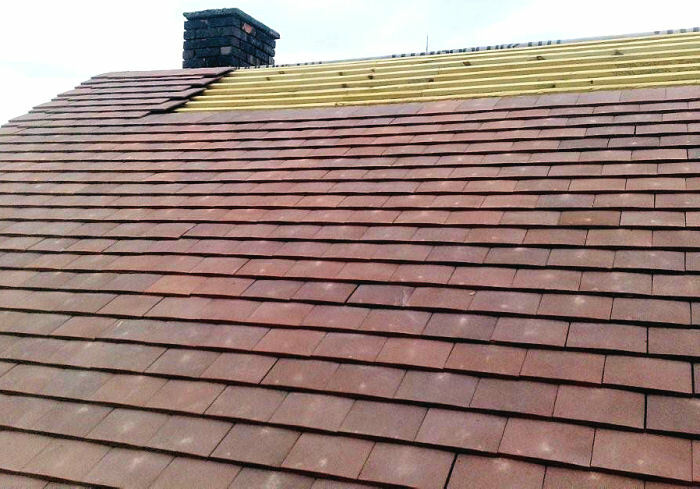 With New Roof Connecticut you get qualified roof contractors with residential and commercial roofing experience, proven with years of satisfied customers and successfully completed quality roofing projects. New Roof Connecticut offers a variety of other roofing services including roof installation, new roof installation, roof construction, roof inspections, roof repair, roof removals, roof rips, roof restoration, roof leak repairs, re-roofing, re-roof, roof rebuilding, slate roof, Spanish tile roof, metal roof, green roof, green roofing, wood shake roof, slate roof, cedar roof, asphalt roof shingle, slate shingle, asphalt shingle, flat roof, roof truss, roof insulation, timber cladding, roof cladding, and more… Call New Roof Connecticut at 1-888-766-3020 or request a Free Re-Roofing Quote today! Our roof contractors are the best in the business and have the solution to all your roofing needs. Do I need a New Roof Installed?